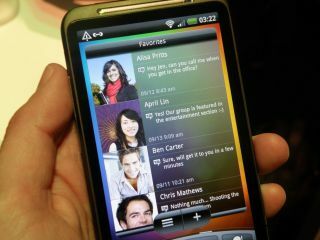 HTC's upcoming Desire HD and Desire Z handsets are facing release date delays after failing on Google testing. This is according to online shop SuperEtrader, who has announced that the handsets won't be coming out this week, rather 'mid to end of October'. "Both units have failed last minute Google TA (Type Approval) testing which is exactly what was said about the original Desire days before release," explained SuperEtrader in its notice. It will be interesting to see whether UK networks are subject to the same delay as the online retailers, as Vodafone is still claiming an imminent UK release date. The launch of HTC Desire was also delayed back in April. O2 decided to delay its release of the phone due to testing and 3 delayed the release of the HTC Desire. But this was due to a slightly different reason – it was because of the ash cloud which looked like it was going to bring an end to the world last spring. The delay for the HTC Desire HD and Desire Z has also been confirmed on developer forum XDA-Devs. So, it looks like you will have to sit back, relax and wait for the late October UK release date to trundle on by before you get hold of the Android 2.2 handsets. And keep your fingers crossed that no ash clouds will delay the devices further.